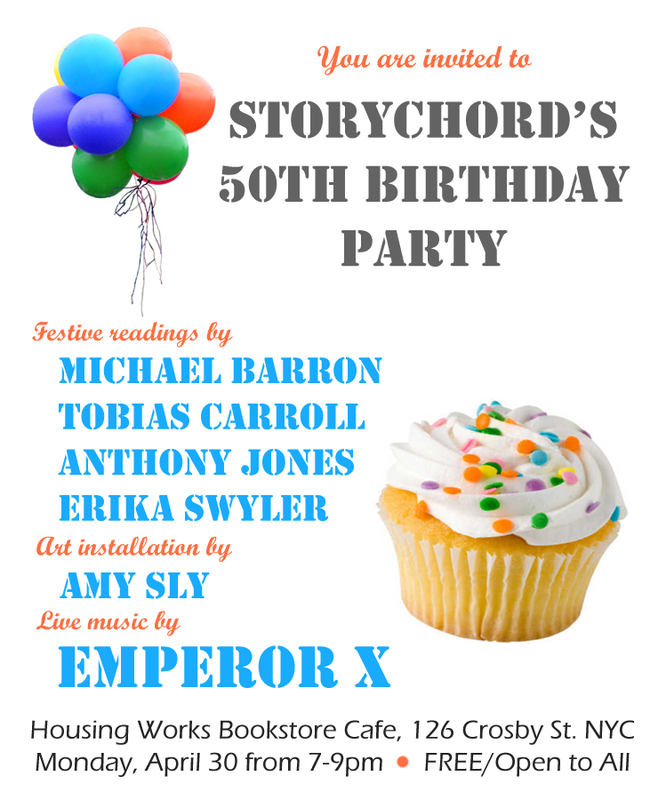 NYC, YOU ARE INVITED to celebrate Storychord.com's 50th issue release on Monday, April 30, from 7-9pm at Housing Works Bookstore Cafe. The birthday-party themed evening will feature art, readings, and live music from past contributors. Admission is FREE, and all food/drink/book purchase proceeds will benefit Housing Works' mission to end the dual crises of homelessness and AIDS. Also: free Butter Lane cupcakes to the first 24 attendees to arrive!